Chile is located along South America’s western coast. It is one of the most stable and prosperous countries in South America. In 1818 it declared independence from Spain. It celebrates its National Day each year on September 18th. Bernardo O Higgins and John (Juan) MacKenna played a central role in Chile’s fight for independence from the Spanish Empire. 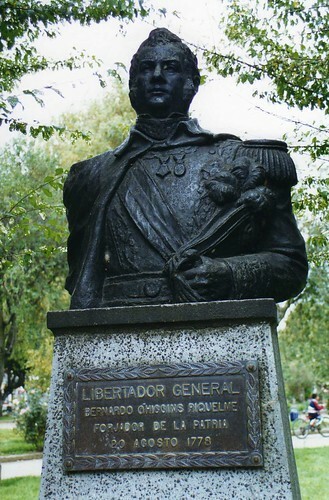 Bernardo O Higgins whose Sligo born father Ambrose was the governor of Chile became the first head of state of Independent Chile. 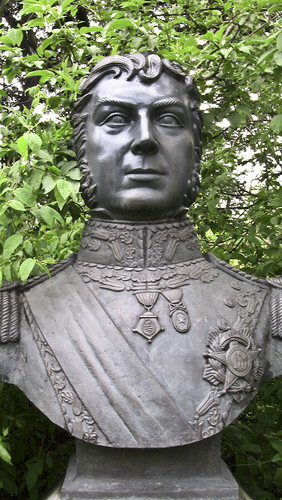 There is a monument to O Higgins in Merrion Square in Dublin. John (Juan) MacKenna from Monaghan town was Commandant-General of the Chilean Army during the war of independence. There is a bust of General MacKenna in Monaghan County Museum. Stamps to celebrate the roles of Bernardo O Higgins and Juan MacKenna in Chilean Independence were jointly issued by the Irish Post Office and the Chilean Post Office in the year 2010 On This Day.